As an Englishman, when I moved to the U.S. more than 10 years ago, two things struck me almost immediately. I was stunned by just how cheap gas was and even more stunned by how many people complained about the price. Of course, the distance one needs to drive in everyday life here makes expensive gas that much more painful, but is gas in the $3.50 to $4 per gallon range really that expensive, and can we expect to see it any lower in the near future? You can certainly point to examples that would suggest that it is expensive. In Saudi Arabia for example, the equivalent of one U.S. gallon of gas will run you about $0.60 and in Venezuela, only $0.05, but when compared to other industrialized western nations, gas in the U.S. is actually cheap. 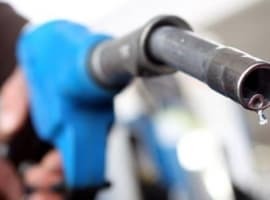 In the UK, that same gallon of gas will set you back $7.93, in France $7.23 and in Italy $8.25, according to the website globalpetrolprices.com. In fact, gas in the U.S. is cheaper than in any other similar country, with Australia second cheapest, at $4.93 per gallon. Of course, most of that difference is down to differences in taxation. Once the gasoline taxes and VAT are accounted for, around $3.02 of the UK price goes in taxes, for example. 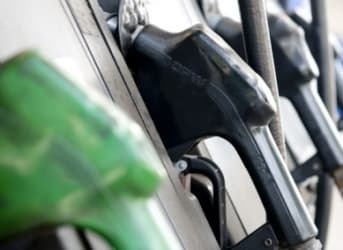 Compare that to less than $0.50 in taxes per gallon on average in the U.S., according to the latest report from the American Petroleum Institute (API). Relative pricing and taxation aside, though, it is the cost of oil that makes the biggest difference in the price that you pay at the pump (about 67 percent of the total, according to the EIA). That is determined by a global market that responds to simple supply and demand. 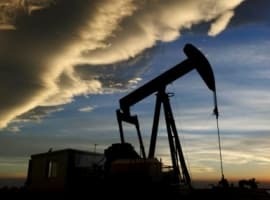 As the oil from the shale boom in North America has come online and demand has dropped, WTI crude prices have fallen from around $104 per barrel to around $90 over the last six months. That, in turn, has resulted in the average price of gas in America falling from over $4 per gallon at the end of spring to the current $3.63 level, but it is hard to see that fall continuing much further. Shale oil may be plentiful, at least in the short term, but it isn’t cheap. The average cost to produce a barrel of oil from shale in the U.S. stood at $72 earlier this year. This means that if the price drops much further, many wells will become economically unfeasible and production would slow, once again putting upward pressure on prices. 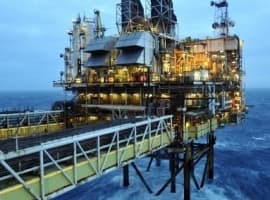 Given that, and the basic fact that oil is a finite resource for which demand is still growing, it is hard to envisage oil at a price that equates to gas under $3 anytime soon without a major economic collapse. It looks, then, as if my American friends will just have to get used to paying well over $3 per gallon for gas, but just remember, things could be worse. You could be driving around Tuscany and paying $8.25 – although, on second thought, maybe there would be enough offsetting factors in that case to make the price of gas bearable. It is, you see, all relative. I'll give you that gas prices here are much cheaper relative to other (primarily European) industrialized nations in the West, but should we settle for that? If we built a new refinery in this country in the last forty years, gas to the end user would be nearly unshakably affordable at all times. If the goal is for the citizen to have the most affordable resources possible, then the government needs to allow investment in raising refining capacity. Actually, the government should endorse that. The difference between the U.S. and Europe is that we've despised taxation from our inception. So, when we see commodities being taxed at a higher rate than most other products, we cringe and complain. It is justified, though. Governments of most nations take far more than they need to serve the primary function of protecting its citizenry. That's the problem. Government has its hands in too many issues and only serves to exacerbate those issues and raise the end prices (see Obamacare). All I know is to see what gas went for in 1963. Then look up what a 90% silver, 1963 quarter is worth now in metal value. You'll discover an amazing thing. And that is with silver in a currently supressed, beaten down 2 year low price. The cheapest gas was since it was invented was 1998-99, during the asian economic collapse period. .96 a gallon or 12 cents in 1963 dollars, using the above metric. I'd say it's neither cheap nor expensive right now. It's about at the historic mean price. Gas is under $2/gallon now and we have yet to see this major economic collapse. Do you predict football games too?